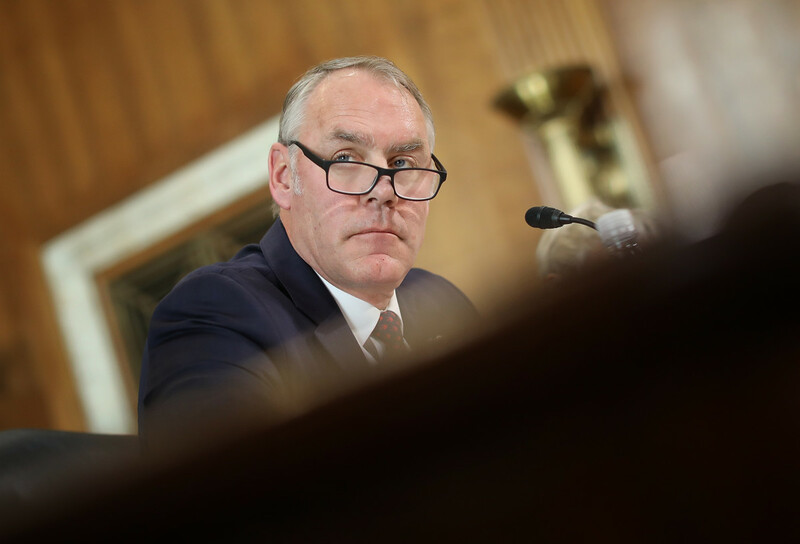 Secretary of the Interior Ryan Zinke testifies before the Senate Energy and Natural Resources Committee on March 13th, 2018, in Washington, D.C.
Secretary of the Interior Ryan Zinke has been mired in controversy after greeting a Japanese-American lawmaker, who had inquired about commemorations of her community&apos;s unconstitutional war-era detention, with what has been described as a flippant "konnichiwa." 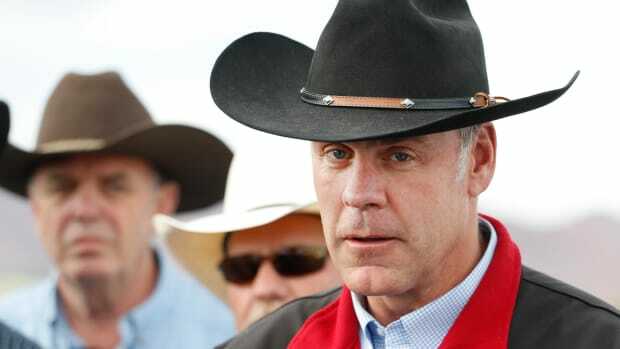 And, further upsetting Asian-American community leaders, Zinke reportedly refuses to apologize. Last week, Representative Colleen Hanabusa (D-Hawaii) asked Zinke whether he would continue funding for the Japanese American Confinement Sites program, which provided money for the preservation of facilities the American government used to detain 120,000 people of Japanese origin during World War II. The sites serve as a reminder of a wartime executive order that stripped the Japanese-American community nationwide of its constitutionally guaranteed freedoms and rights to due process on suspicion that Japanese-ness made them un-American. 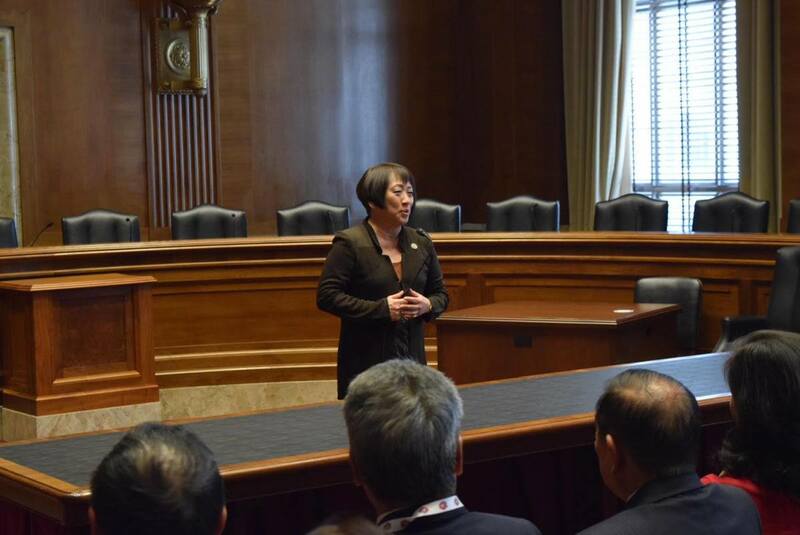 When speaking with Zinke, Hanabusa added that her own grandparents were among the innocents incarcerated for their ethnicity during the war. 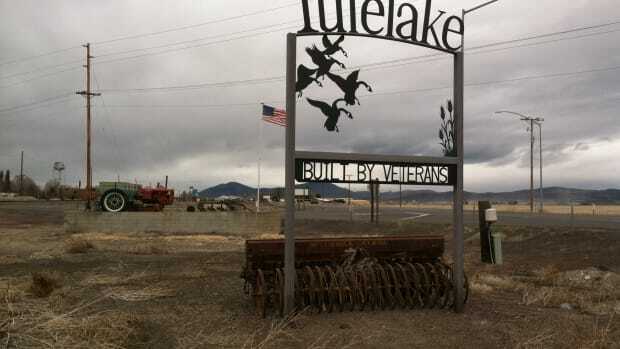 Zinke continued that the absence of funding for the Japanese American Confinement Sites program in 2019 was likely an oversight and expressed that he understood the importance of internment to America&apos;s history. What upset Hanabusa and others was not Zinke&apos;s Japanese-language gaffe; it was a suggestion of her foreignness—and the implication that only whites are truly American. White lawmakers at Thursday&apos;s hearing were not greeted with a jovial bonjour or guten tag. "No one else was greeted in their ancestral language," Hanabusa wrote in an email exchange with Pacific Standard. Hanabusa is a fourth-generation American. "I understood this is precisely why Japanese Americans were treated as they were more than 75 years ago. It is racial stereotyping." The Japanese American National Museum in Los Angeles, built on a city street where Japanese Americans were rounded up and shipped off to detention centers, echoed Hanabusa&apos;s interpretation that Zinke&apos;s konnichiwa signals the regeneration of a World War II politic of racism in Washington&apos;s halls of power. "Secretary Zinke&apos;s inappropriate comment demonstrates and perpetuates the racist perception that Japanese Americans and other ethnic minorities are always &apos;foreigners,&apos; regardless of having been in the United States for several generations," a museum spokesperson said in a statement sent to Pacific Standard. "This type of racism is what led to the violation of Constitutional rights during World War II, when our country&apos;s leaders wrongly thought of American-born individuals of Japanese ancestry as &apos;the enemy.&apos;"
Fellow lawmakers and Asian Pacific Islander-American community rights advocates also called on Zinke to apologize. "Zinke&apos;s comment betrayed a prejudice that being Asian makes you a perpetual foreigner," Representative Judy Chu (D-California) tweeted. "Intentional or not, it&apos;s offensive. He should apologize." Legal advocacy group Asian Americans Advancing Justice issued a statement echoing Chu&apos;s calls. But Zinke reportedly refused their requests. "How could ever saying &apos;good morning&apos; be bad?" multiple news outlets reported him as saying Saturday in defense of his Japanese greeting. Zinke&apos;s Department of the Interior did not respond to Pacific Standard&apos;s request for comment. Beyond the implication of an American legislator&apos;s all-consuming foreignness, what is key to understanding why people are outraged, Hanabusa and Asian Pacific Islander-American rights advocates explain, is context. The comment came from am official who is part of an administration engaged in a sweeping attempt to walk back immigrant rights—an attempt that many charge is racially motivated, particularly after President Donald Trump derided some immigrants&apos; places of origin as "shithole countries." 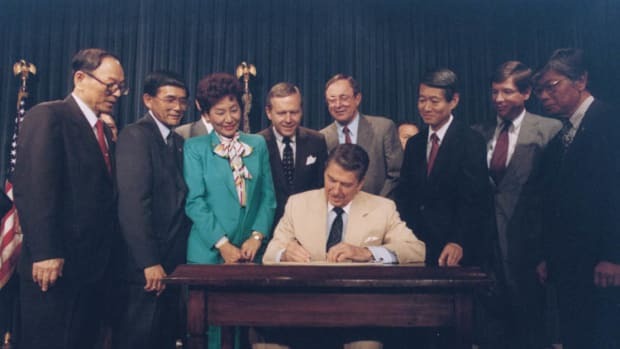 Many believe it was particularly illustrative of the administration&apos;s attitude toward American immigrant communities that Zinke&apos;s comment came as Hanabusa was discussing funding to recall one of the U.S.&apos;s darkest experiences with what historians agree was discriminatory policymaking designed to strip the protections of a single American community. 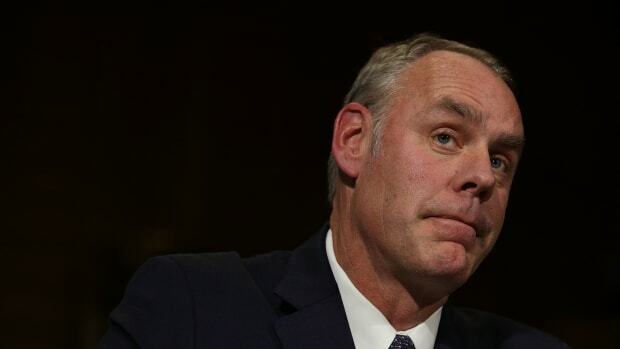 The absence of an apology has only served to fan the flames over Zinke&apos;s remark. "Secretary Ryan Zinke&apos;s refusal to apologize for his clumsy and insensitive remark to Congresswoman Hanabusa is unacceptable for any public servant, let alone a cabinet secretary," says Reshma Shamasunder, vice president of Program Strategy at Asian Americans Advancing Justice–Los Angeles. "The fact that the blunder occurred during a discussion about one of the most shameful and darkest moments in our country&apos;s history only reinforces the underlying and overt xenophobia being peddled by the Trump administration." 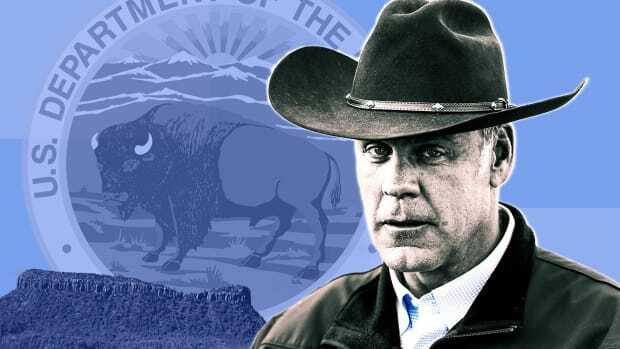 Zinke may feel the calls for apologies are unfounded, but he himself has publicly aired his victimhood over wayward comments. Also on Thursday, around the time of his exchange with Hanabusa, Zinke complained that he was offended when Representative Ruben Gallego (D-Arizona) questioning him over national monument spending, suggested that Zinke was unable to offer accurate answers on spending because, as a Navy SEAL, math had not been his strong suit. "I take offense about your derogatory comment about the United States Navy SEALs," he told Gallego (also a former Marine), according to a USA Today report. Three decades after their movement garnered a government apology for their wartime incarceration, Japanese-American community leaders are still battling for civil liberties for all Americans. The battle to commemorate Japanese-American incarceration in northern California comes as Congress is set to deliberate whether to continue to fund such sites nationwide. 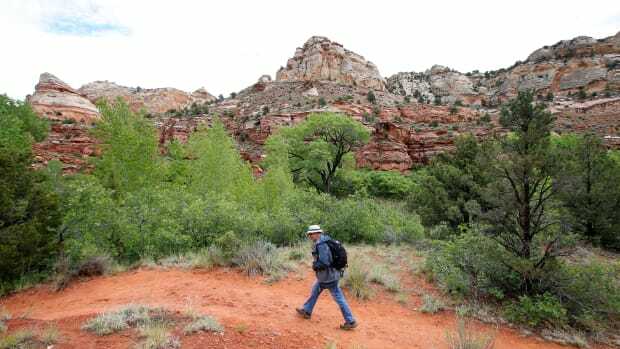 The secretary of the interior wants to raise user fees at the national parks. His proposal will hurt all but the wealthiest Americans, and it won't work.